SPECIAL OTHERS is a Japanese band that blends improvised jazz with post-rock influences who formed in 1995 at high school and started serious music career since 2000. They released the first major mini album from Victor Entertainment in 2006. 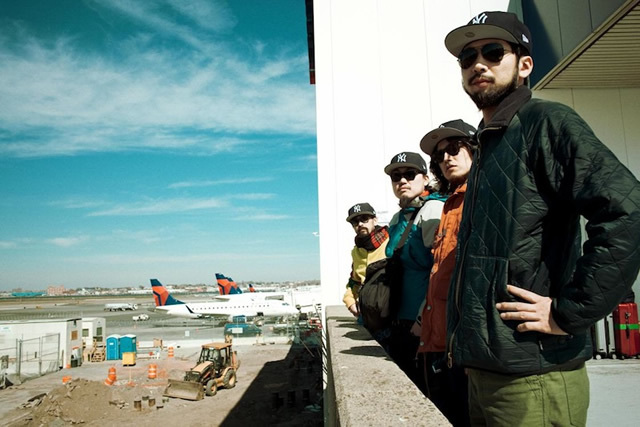 Their unique sounds and live performance gained popularity at major summer festivals such as Fuji Rock Festival and Summer Sonic and they became a must-see Jam band in Japanese festivals. both went straight into No.10 of Japanese National album chart. It’s a remarkable accomplishment as an instrumental band. They marked 2011 as the year of collaboration and released two singles with　popular Japanese artists such as Kiyosaku from MONGLOL800 and kj from Dragon Ash. Their self-titled latest release contains 4 more collaborated tracks with other Japanese artists　as well as the above mentioned two singles. The album released on November 30, 2011 in Japan also scored a top ten hit in Japanese album chart. List of albums digitally released on iTMS outside Japan this time.